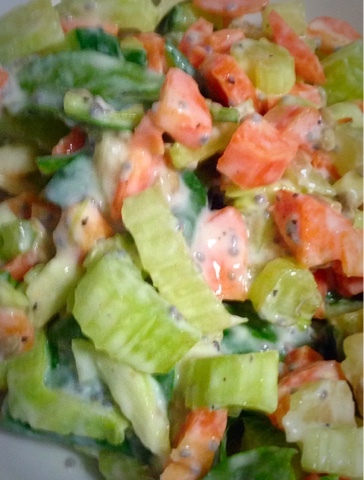 My easy peasy healthy yummy creamy crunchy Green Salad. Replace with lunch or dinner and make your weight loss much easier. Complete meal under 80 Calories and soo yummy that you can have it everyday. Best part can be made in just 5 minutes with few ingredients. 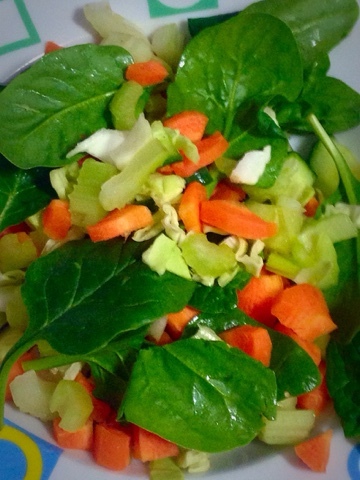 Celery is the main ingredient of this salad which is considered as negative calorie food as our body require to consume more energy to digest celery than it produce. It also contain a good amount of water to keep your body hydrated. 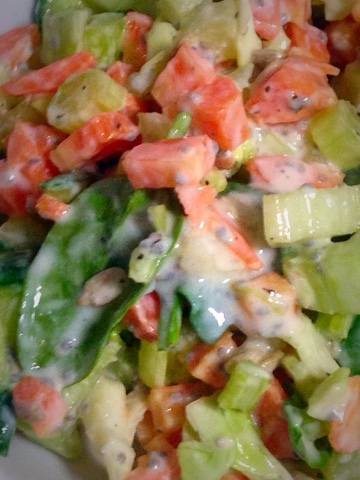 I am not a very healthy eater and do not like salad much but nuttiness, Calories and crunchyness in this salad make me wants more with each bite. so lovely people wait over and here comes the recepi or if I correct my words 'procedure'. 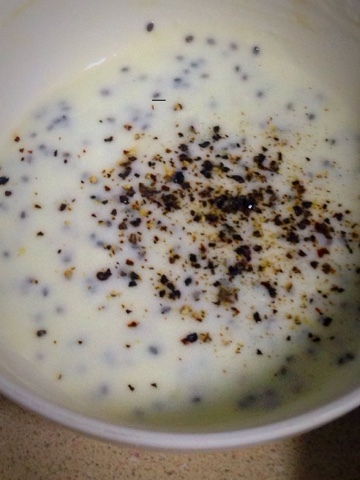 Mix everything well and keep aside for 5 minutes so chia seeds absorb moisture. Mix all the ingredients and toss with yogurt dressing. Taste salt and add more according to your taste. Serve immediately or chill in fridge and serve.